Under contract to AFCEE, EEI completed a multi-phase island wide Facility Assessment that evaluated all fuels systems throughout the entire facility. The evaluation included elements of API 570 guidelines and review of the fueling facilities’ condition. The overall project execution incorporated portions of a Pier Pipeline Integrity Assessment (API 570 Evaluation) and facility wide Thermal Pressure Relief Evaluation simultaneously completed by EEI. The Facility Assessment addressed system compliance with criteria, environmental risk, and operational and safety factors. Initially, the Facility Assessment was to be written prior to the submission of DD 1391 funding documents. Per the request of the Navy and DES, and approved by AFCEE, EEI revised the sequence of events to submit funding documents prior to the issuance of the Facility Assessment. Preliminary DD 1391 funding documents were prepared in November/December 2006 in order to meet the PACCOM FY08 SRM data call. Final DD 1391 funding documents incorporating DES comments were transmitted on March 26, 2007 and included in Appendix A of the report. 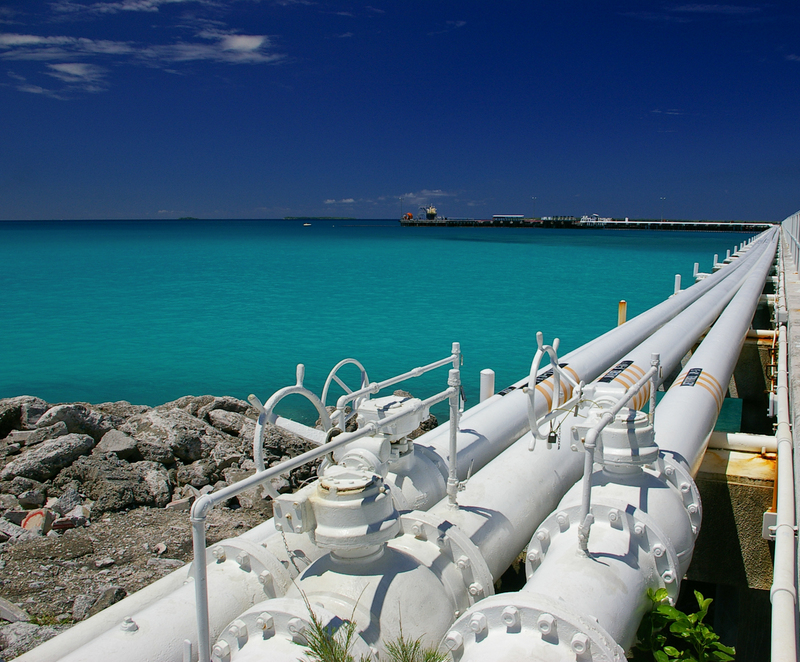 The API 570 Pipeline Integrity Assessment was submitted in October 2006. This Assessment included major product pipelines and fueling systems from the causeway to the storage tanks and from the storage tanks to the next downstream user. Findings of a previously completed API 570 assessment of the pier and causeway piping were validated and incorporated. The evaluation focused on using applicable techniques of API 570 for pipeline systems at the facility to such degree as to permit categorizing repairs and upgrades to the pipeline systems for extension of life and mission readiness. The primary consideration with the API 570 Assessment was corrosion, system integrity, and the ability to safely contain system pressures. The repairs identified were incorporated into DD 1391 funding documents. The most critical element of the findings, repairs to the pier, and causeway were accepted and design/construction authorized. The Thermal Pressure Relief Evaluation was submitted in October 2006. This document presented the evaluation and findings of the fuel system thermal pressure relief throughout the facility and identified the repairs required and recommended. The primary deliverable, the overall Facility Assessment, and DD 1391 programming documents went through extensive NOLSC and DES-PAC review with a final review held onsite. The final document submitted in March 2007, had a total of 15 projects with a total construction value of $12,000,000. Related Projects: EEI was authorized to prepare 100% complete design drawings for all long term repairs to the Pier and Causeway piping systems (6, 12, and 16 inch piping for JP-5, IFO 180, Mogas and F-76 fuels). The design was complete and bid and awarded through AFCEE. EEI was then authorized to provide full time Title II onsite representation to assist the Government in executing the work.